Following the theft of 1,500 litres of heating oil from Whitehaven Respite Unit in Co Antrim, a home for children with disabilities, a call out to distributor members of the Northern Ireland Oil Federation (NIOF) resulted in Solo Direct offering to give the unit 1,000 litres of oil to help during this difficult time. With £1,000 worth of oil stolen over the Christmas period, unit workers and children were left in extremely cold conditions causing considerable disruption and upset in the local community. said David Blevings, OFTEC Ireland manager. At Solo Direct Andrew Hutchinson told Fuel Oil News’ Irish correspondent Aine Faherty that after OFTEC made an appeal to Northern Ireland oil businesses, he felt the gesture was a chance to give something back to the community which had been outraged by the theft. “It’s just 1,000 litres of oil and one of those things I thought the business could and should do,” said Andrew. 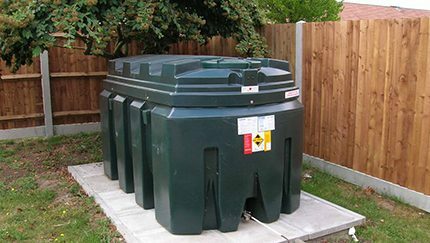 OFTEC has since reminded oil users including homeowners, farms, schools, businesses, play groups and churches to be particularly vigilant and to take precautions to protect their fuel. “During the winter when many people keep their fuel tank stocked up, they can be easy targets for thieves,” added David.